We offer fast response from our hot desk in the city centre and remotely from our HQ in Uckfield. 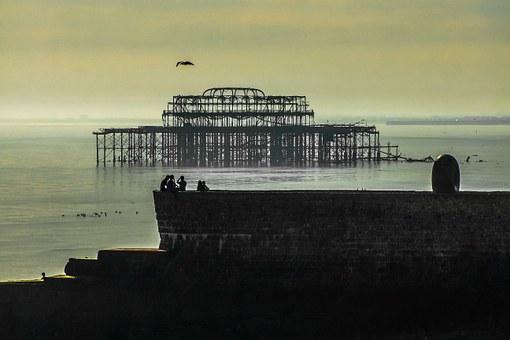 Many of our clients within Brighton have fully outsourced or embedded support. This means that we are constantly in and around the city carrying out pro-active visits - thus ensuring we are able to offer fast response from our staff that live locally. Our clients in Brighton include Kineo, Qualifa, Plus Accounting, Engleharts, Coole Bevis, Higgidy Pies, Pilbeam Construction, John A Tuffin, Burt Brill & Cardens and many more. Any many more please see menu above. Weald IT (Weald Computer Maintenance Ltd) was formed in 1988. Many of our clients and staff are the originals, or at least are pre-2000. Relationships mean a lot to Weald and it is demonstrably clear that we are committed with so many remaining as friends, colleagues and valued clients. We are stable, risk averse and growing slowly but steadily. We provide IT Support to SME's (mostly between around 10 users and 200 users) but of course there are exceptions. Support can mean anything from ad-hoc work to an embedded member of staff on-site almost full time. We also provide hardware, software and all the things you might expect are required from a one-call type support organisation. We enjoy the process of fact gathering and putting together solutions for businesses whether that be a simple remote support solution, or whether a complete resilient infrastructure with off site recovery. It might also be something that streamlines a process or improves efficiency with the use of a new application. We provide support across many sectors. In Brighton, we started out with the vast majority being professional services clients. Typically this was due to recommendation and gradually becoming known for transparent pricing and a good knowledge of the products used by accountants and solicitors. Today, this has spread into Media - where our knowledge of hosted infrastructure, Linux, and Cloud platforms is valued. The sector is largely irrelevant, just the requirement to have an intelligent balanced view of IT and the tenacity to keep going until things are done right.